What is the most comfortable, ergonomic way to fret chords and yet be able to play in any style? 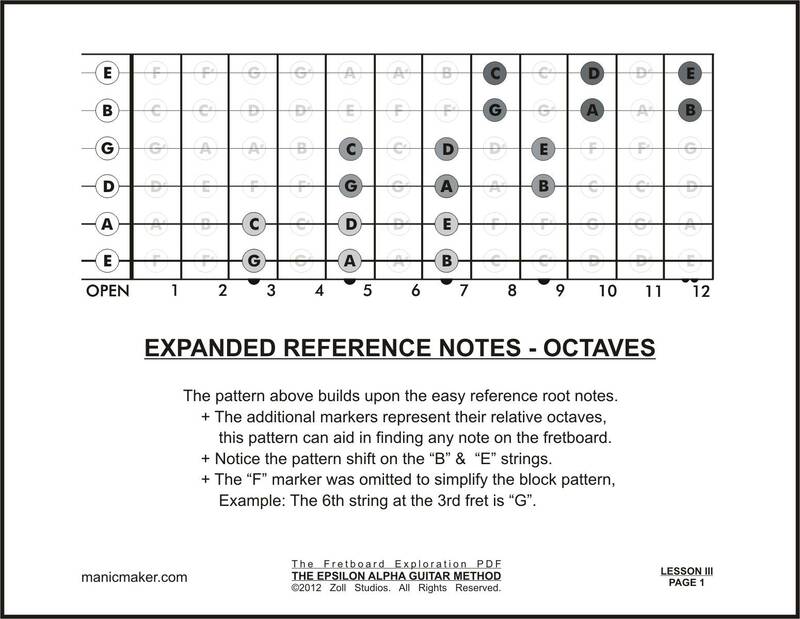 Why son it is the Epsilon Alpha Guitar Method. Okay, enough of the huckster introduction. Guitar mastery is a skill set earned through hard work and consistent practice. After years of playing with others and teaching friends, I decided that I had something unique to offer beginner and intermediate students. I analyzed the myriad of lessons and books that I have acquired over the years, I was then able to reduce the content down to two essential chord forms. These are usually the first two chords learned by students and they take advantage of the hand's physiology and strength. As you may know by searching the web, there are countless gurus that offer their lessons, books, videos, etc. I am not going to sell you anything, except the idea that there is a more efficient way to learn. Sounds too good to be true, I know, but there is still a really, really hard part. You need to practice. 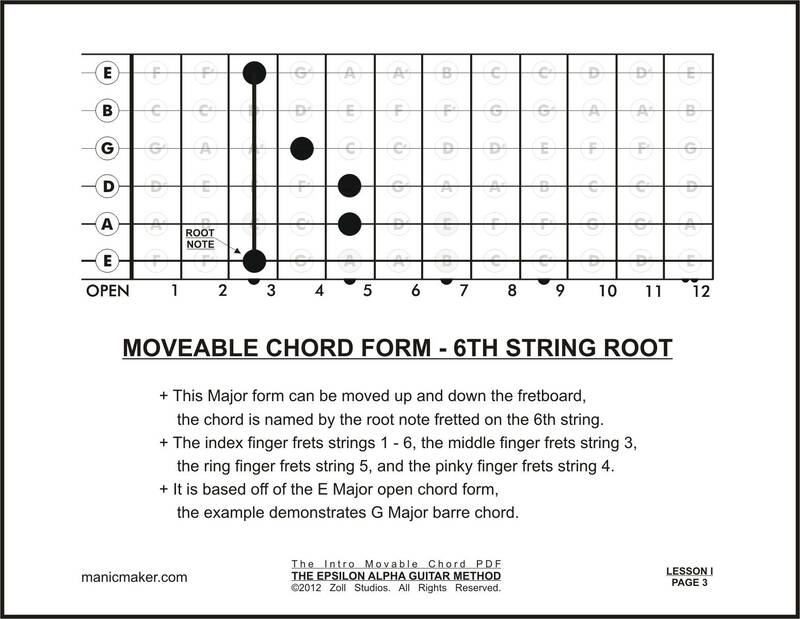 The only other caveat to this method is the introduction of alternate finger positions for the E Major and A Major open chord forms. This subtle shift prepares the hand to be moved up and down the neck while using a pattern you have already memorized. The greatest benefit of this method is the ability to play all the chords you will need without learning the two dozen various open chords. 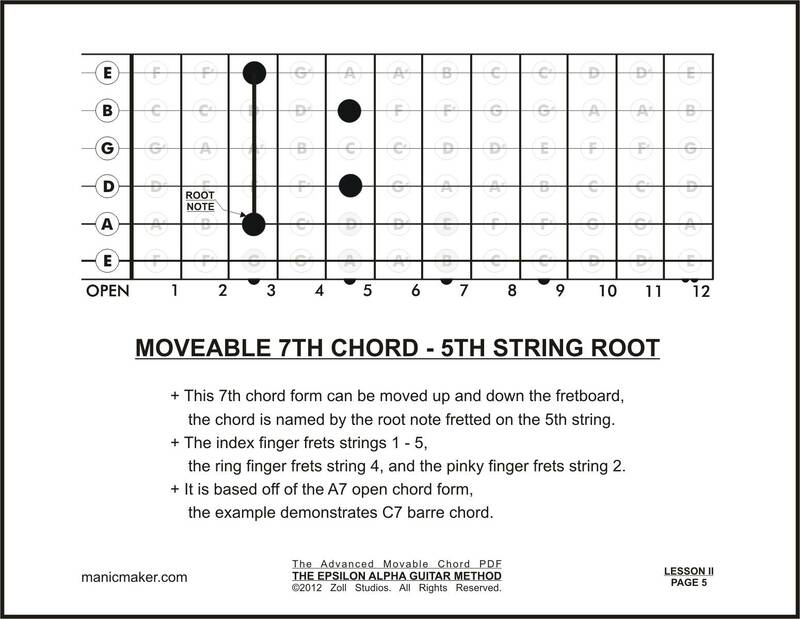 This "dancing" between different chords usually creates the first significant barrier to the students ability to play fluidly. I have included this condensed method in these three PDF files. I would like to add that this is the way a lot of musicians play, I just reduced it down to the bare essentials. I am confident that with a little more work you can accelerate your progress and move well past the glacial pace of traditional lessons.